Hey kids and families! Friend Weekend was this past week in KidzWorld Route 252 and it was a huge success. If you missed it, Friend Weekend was a celebration that marked the ending of our Big Idea of Friendship that we discussed in June and July. The kids were asked to practice worshipping together by inviting a friend to church. We had 46 first-time guests in Route 252. That’s 46 lives that are now different because their friend invited them to church, and we think that’s invaluable. Also, since we’ve been following the adventures of a budding rock band, they were encouraged to dress like rock stars. We had some pretty rockin’ characters for sure. Each service included drawings, prizes, games, a concert, and also, the finale to a month-long friendly competition between the boys and girls. The losing team captains got a pie in the face. The girls proved formidable by winning the first three services, but the guys refused to be shut out and claimed victory during the final service. 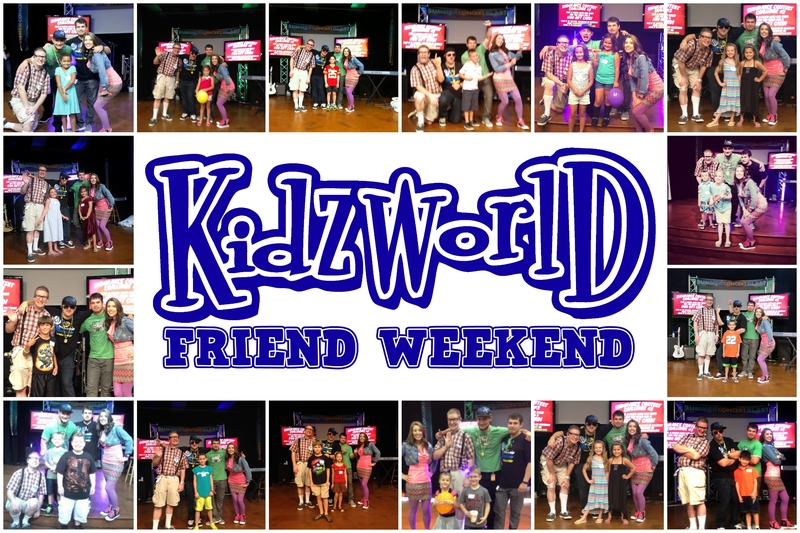 I’d like to thank all our staff and volunteers that helped make Friend Weekend so awesome, but more importantly, I’d like to thank everyone who took time to invite their friends and family to KidzWorld this past weekend. It would not have been such a success without you. As a side note, we also continued our KidzWorld Summer Endurance Contest this weekend. Kids were asked to take a picture with our band and email it to kidzworld@newspring.org or upload it to Facebook, Instagram, or Twitter with #kidzworldcontest. If you took a photo, but forgot to send or upload it, there’s still time to do both. Make sure you get those submissions in, because each submission gives you a chance to win one of three $100 gift cards at our Back-to-School FX event on August 22. I hope you and your family have enjoyed our celebration of Friendship. Don’t miss our Big Idea for August as we learn about Stewardship. See you soon!